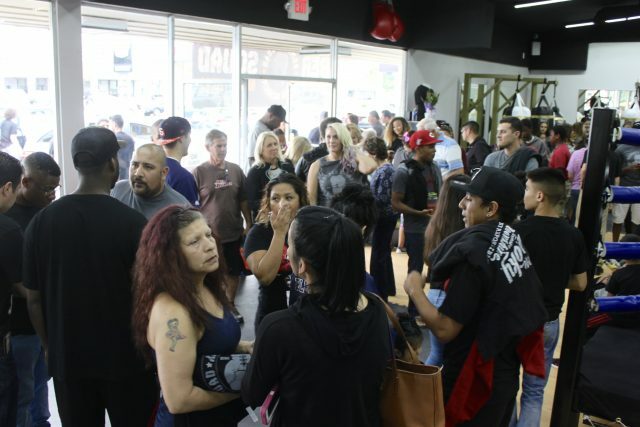 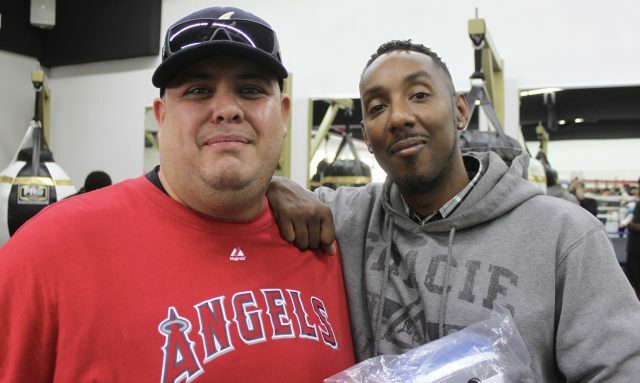 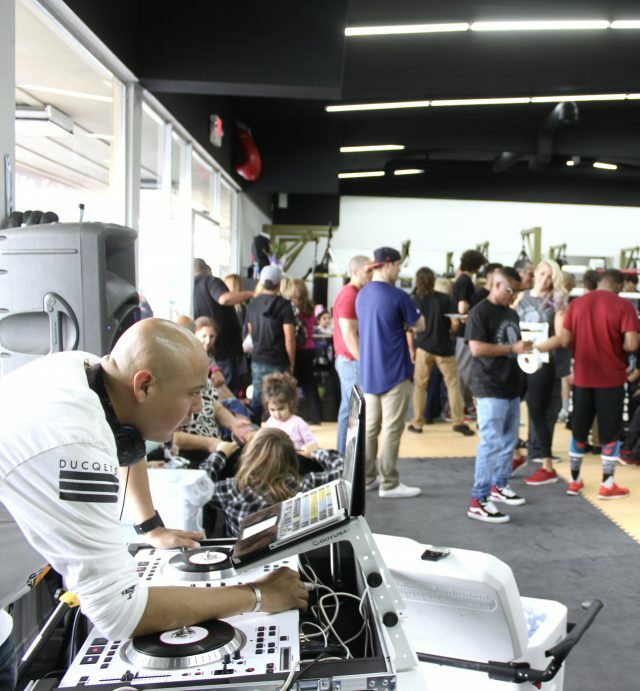 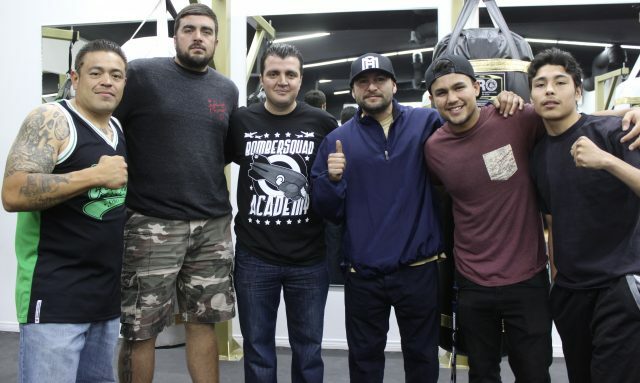 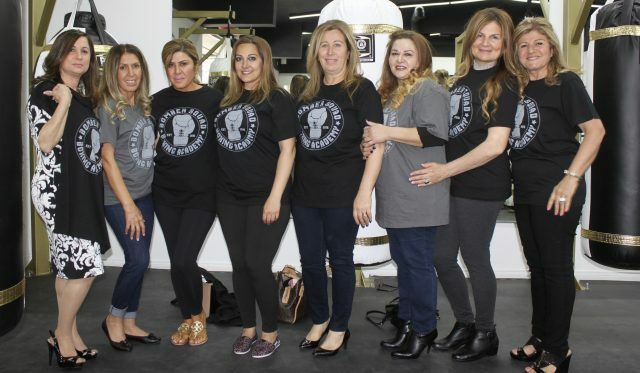 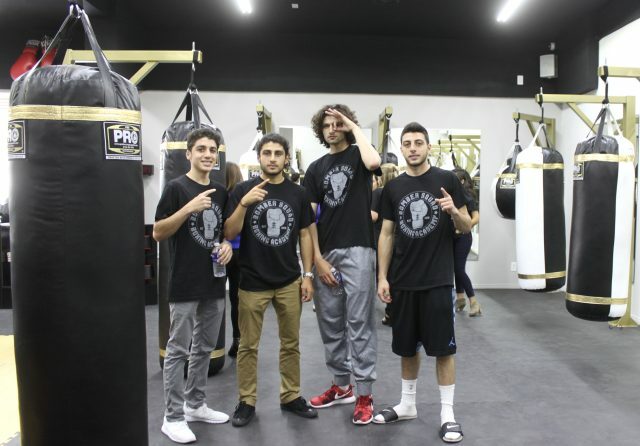 “Had a great time at the grand opening of the Bomber Squad Academy on Main Street in El Cajon,” said Jose Gomez, an instructor at a competing gym. 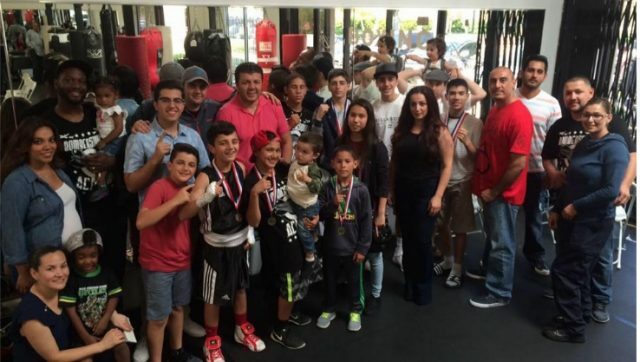 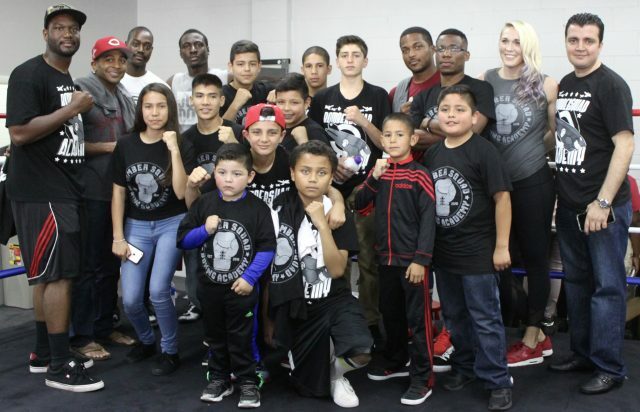 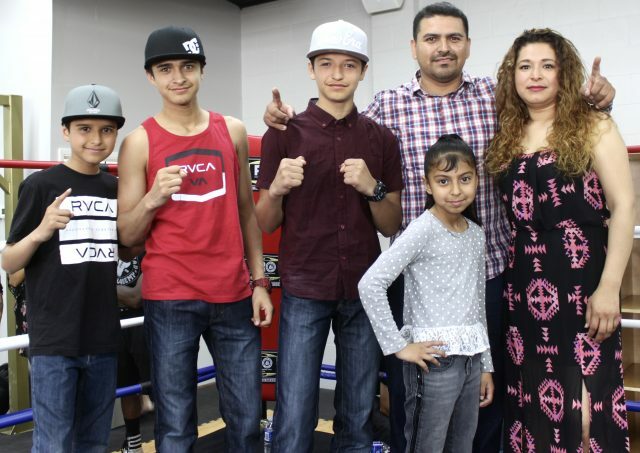 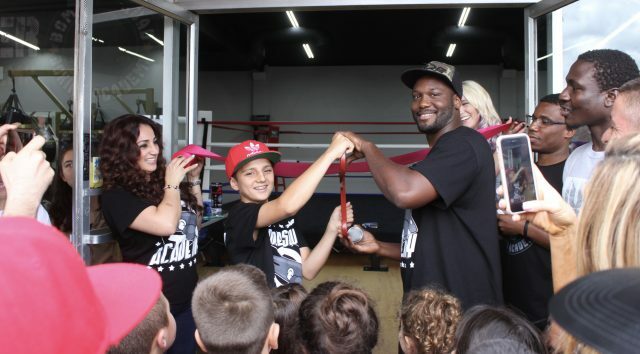 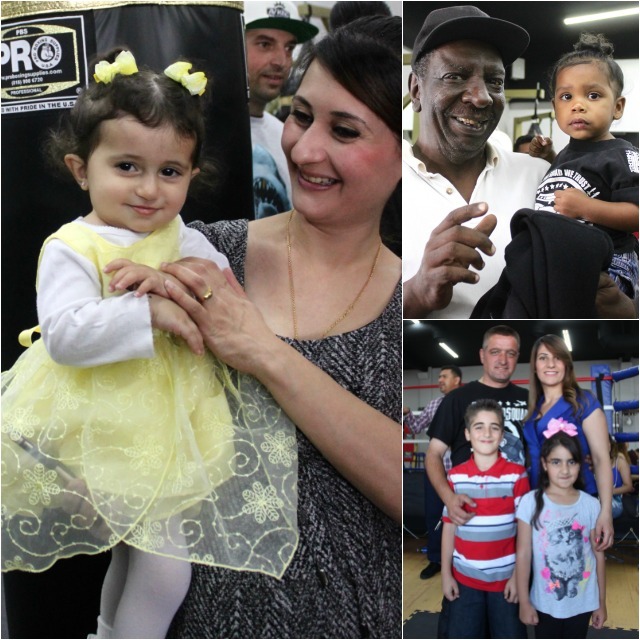 “It’s always an awesome feeling to watch others have their dreams and ambitions turn into reality.” This was the case on Saturday, May 7, 2016, when the Ballo Family, represented by the oldest son, Julius Ballo, a USA Boxing National Champion, cut the red ribbon draped across the entrance of their newly furnished boxing gym. 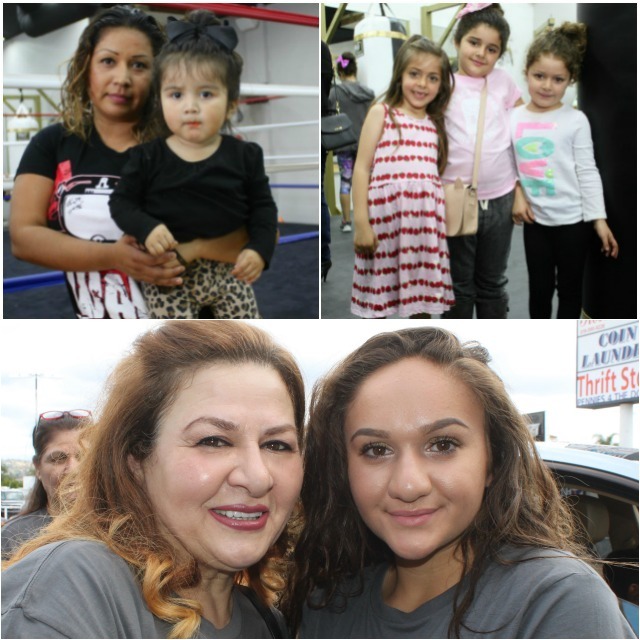 The best way to describe the nonstop fun is to have you take a gander at the many photos taken of the beautiful people who attended this joyous celebration at the brand new facility – the Bomber Squad Boxing Academy at 1404 East Main Street, El Cajon, Calif. 92101, on Saturday afternoon. 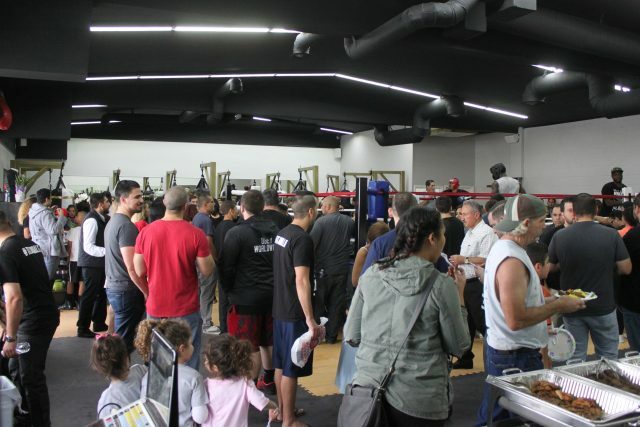 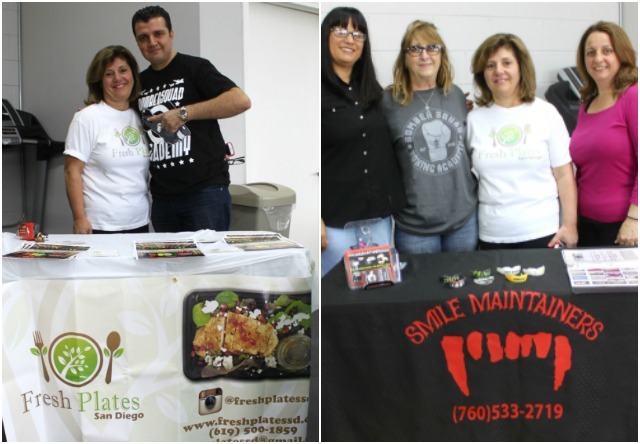 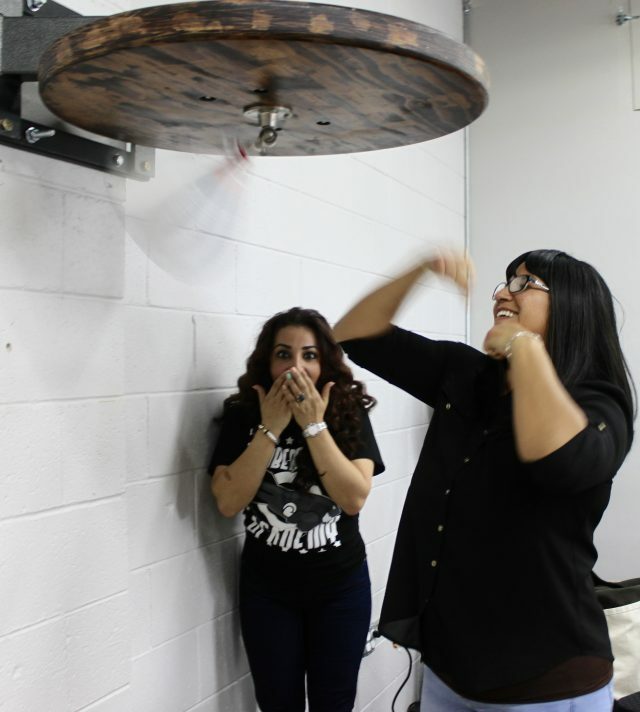 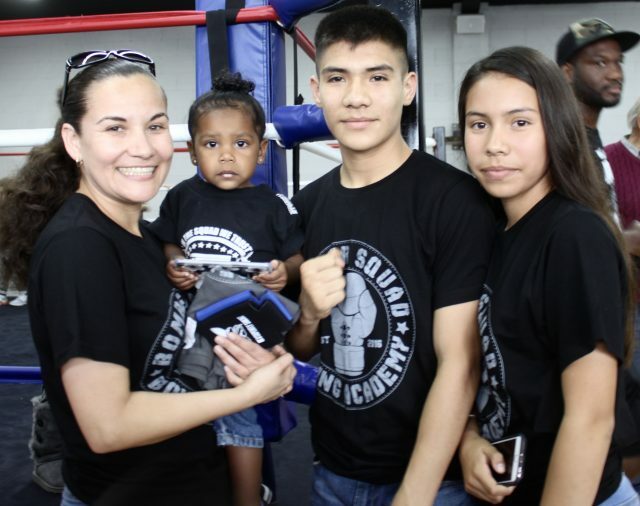 The event featured boxing exhibitions, prizes, free T-shirts, delicious food, and beverages, plus a DJ, for the close to 200 people who no doubt had a wonderful time. 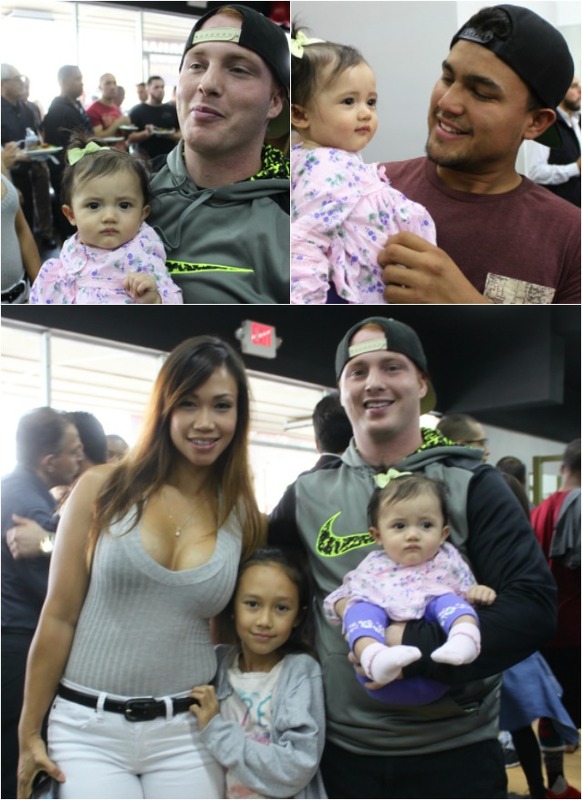 It was certainly a family affair. 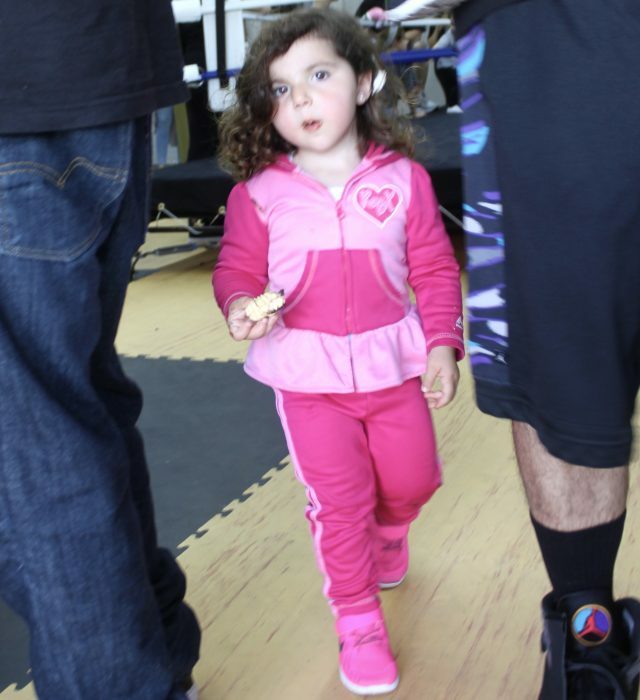 Case in point the entire Chollet family showed up. 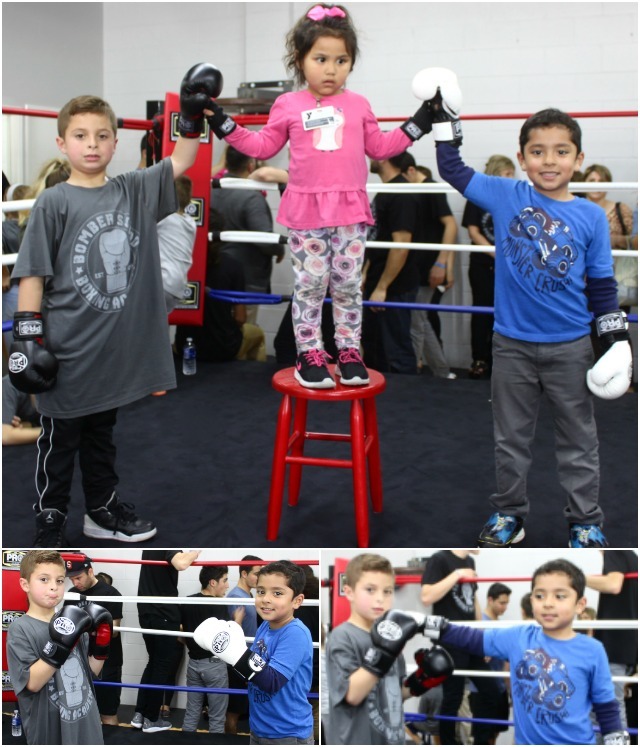 (top) Before the boys started to spar, the young lady on the stool raised up their arms and told them to play fair. 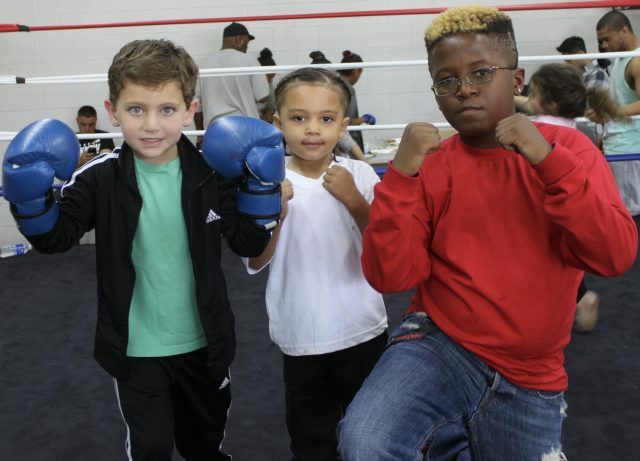 (bottom, right) While waiting for the photographer to snap his photo, the youngster on the right, landed this punch on his opponent’s chin. 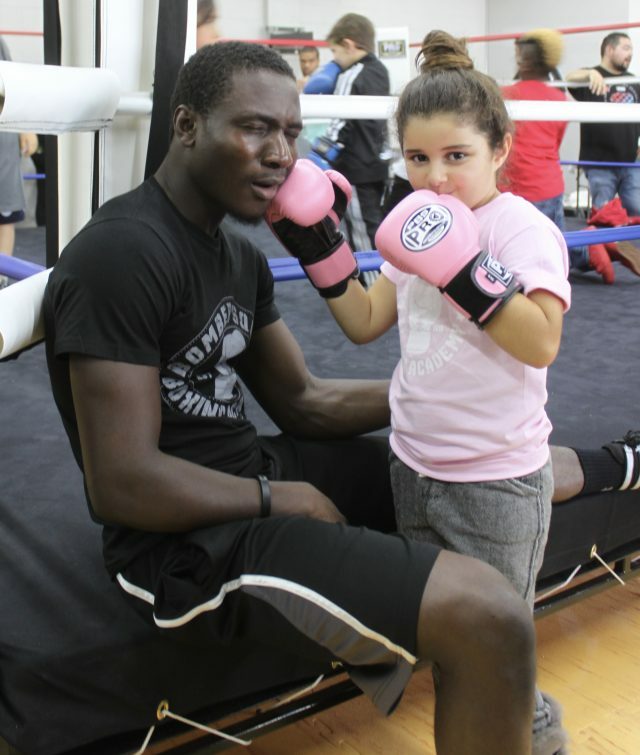 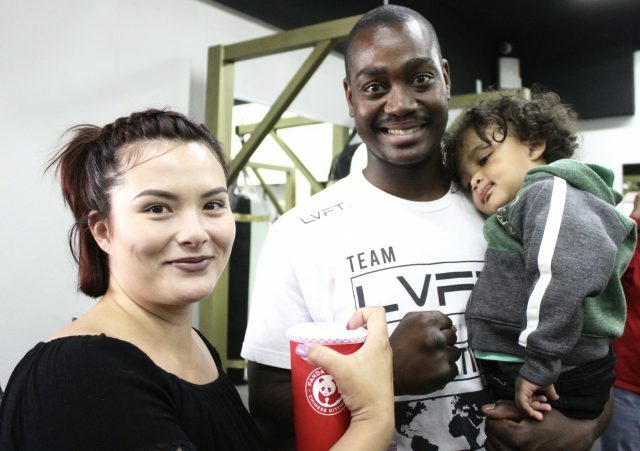 The owner’s daughter asked to have her photo taken with boxer Kevin Ottley, and then she ended up punching him in the face. 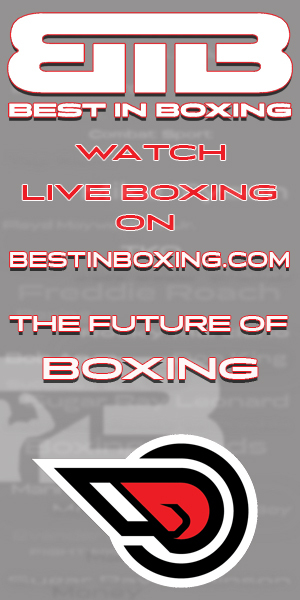 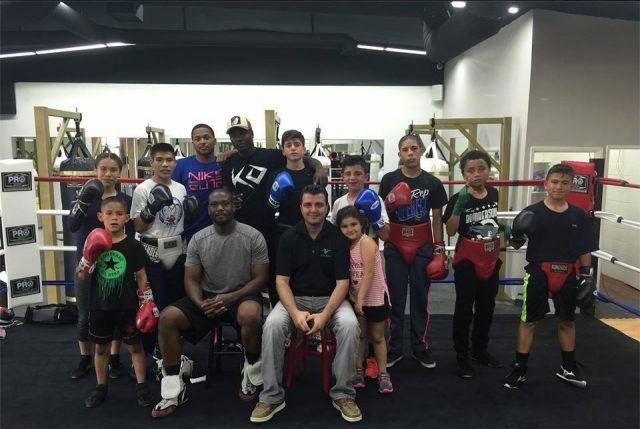 Ottley, another USA Amateur Boxing sensation will be making his professional debut on May 13th in Tijuana, Mexico. 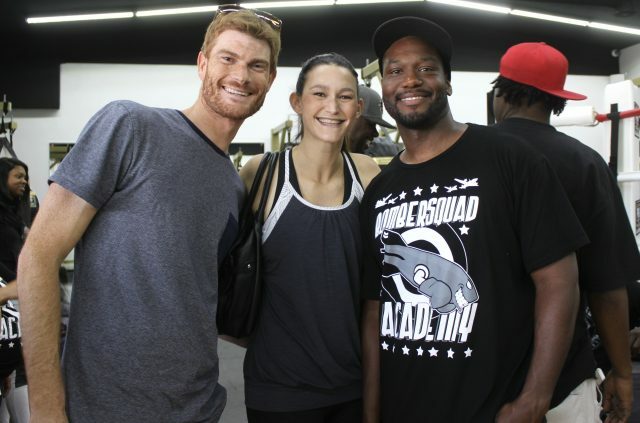 “I may not be much of an athlete,” but I sure look good in athletic wear. 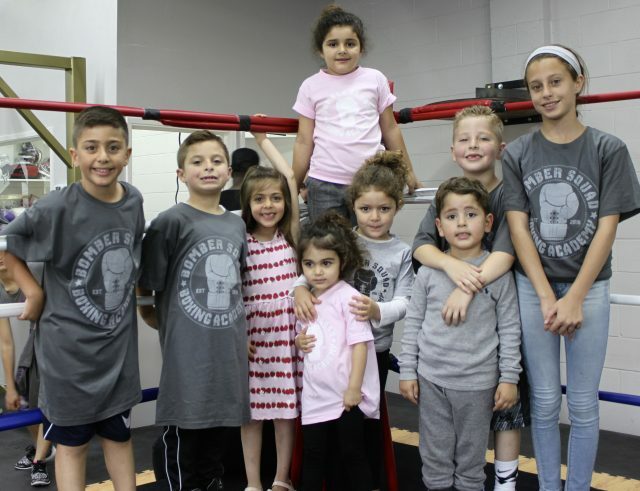 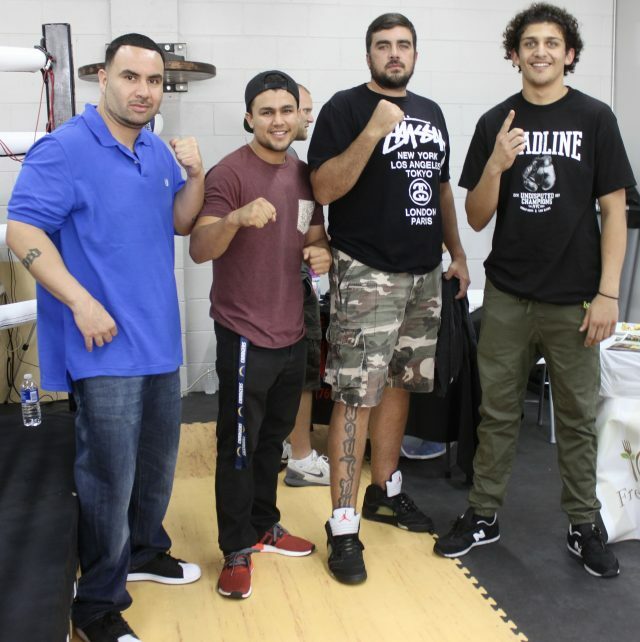 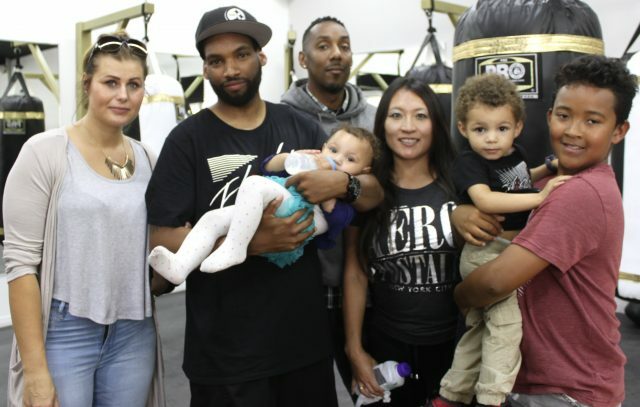 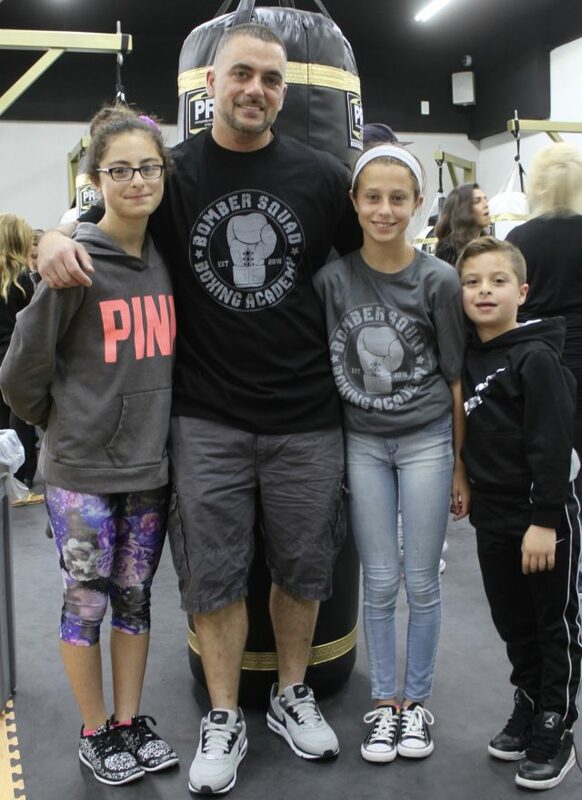 Head boxing coach Berlin Kerney IV (left) and the gym’s owner Jack Ballo (right) pose for photos with some of their newest gym members plus fellow boxing instructors. 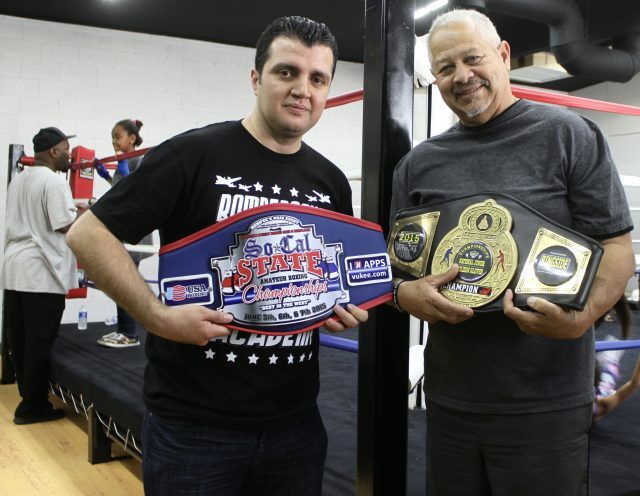 Hondo Fontane, (l) the President of the local USA Amateur Boxing’s LBC 44 poses for a photo with gym instructor Jose Gomez. 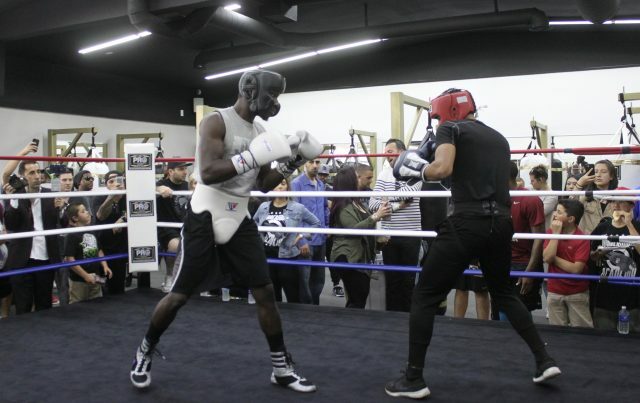 (bottom, left) Fontane jokes around with the head of officials Willie Kuhn while maintaining his momentum on the speed bag. 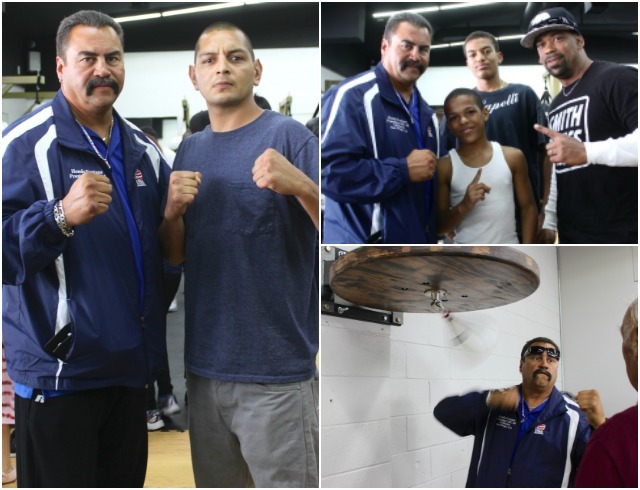 (top, right) Fontane poses for a photo with boxer Xavion Douglas, his brother, and Dad. 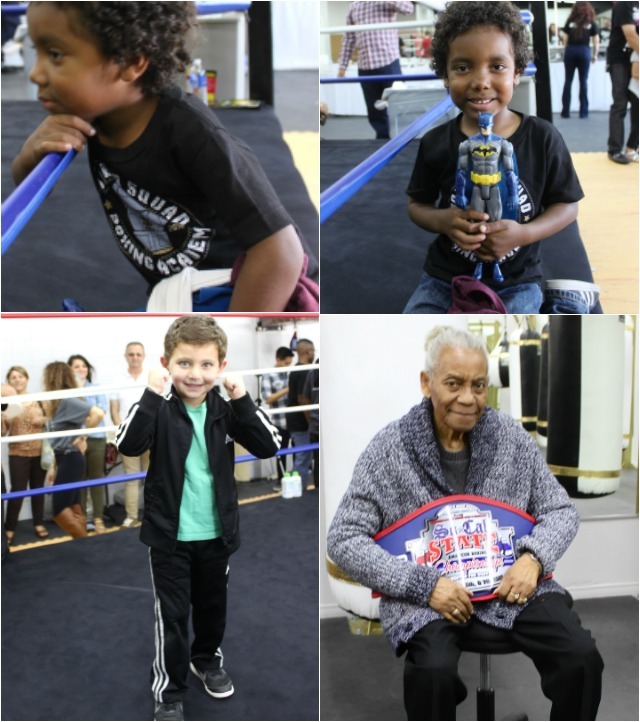 To each, his own, Berlin Kerney IV’s son (top) stated he was more of a Batman fan than a Boxing fan. 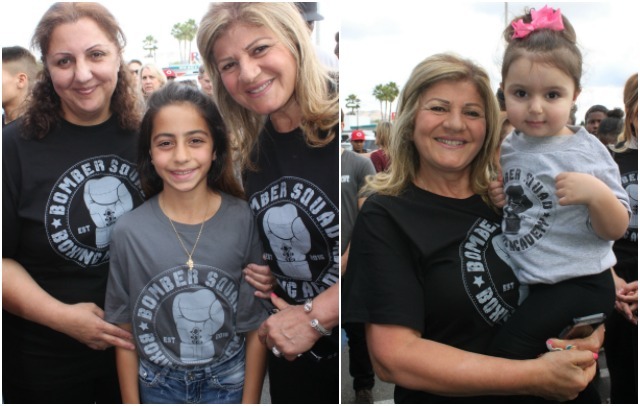 At this affair, both young and old had a smile on their face.